These Viscose Fabrics are used for manufacturing of different types of dresses and other garments. The fabric is uniformly woven and available in wide mélange of colors, designs and quality. These are widely appreciated in domestic and international markets for their features like color fastness, skin friendliness, durable and tear resistant. These are available at affordable prices in the market. 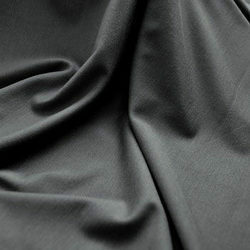 Our range of Grey Viscose Fabric is highly appreciated by our clients for their natural & shiny, easily washable and don't lose their quality for a longer time & look like pure silk fabrics. These are available in various colors, sizes, dimensions and can be custom designed as per the specifications of the clients. They fabricate these using premium quality fabrics and according to the standards of the company. We are among the reputed organizations, highly engaged in manufacturing, trading and supplying an excellent quality gamut of Viscose Fabric.